Stripped of the marketing speak, BLACK SEVEN's Agents break in to places, sneak around, steal data, beat up guards, hack computers, get into running gun battles, and occasionally assassinate people. Sometimes, they do this for Queen and Country. Sometimes, it's for God, America, and Mom's Apple Pie. And sometimes it's because a nice lady with an indiscriminately European accent handed over a suitcase containing five million in non-sequential fifties as a downpayment. It's ten minutes into the future. 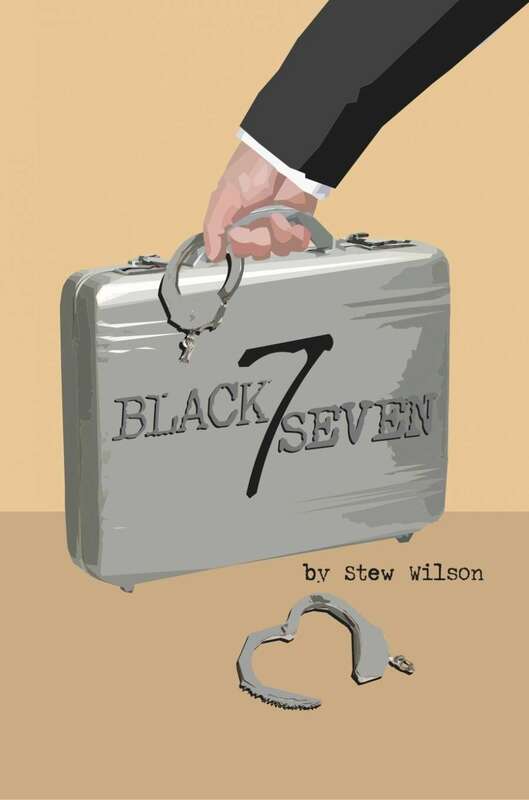 You live a life of luxury, at least until you get the call from BLACK SEVEN. Then, you go to risk your life. Whether you do it for the money, for the safety of the free world, or to expand the definition of the “free world” is up to you. All Control cares about is that you get the job done. • 58 pages of modern espionage RPG inspired by stealth-action games like Deus Ex, Alpha Protocol, and Splinter Cell. • Multiformat, including the rules and a sample adventure in PDF, ePub, and Kindle format, and a host of PDF reference sheets—including a business-card sized Agent Record. Also, I’m curious as to why Trace Objectives are required to have at least two tokens to start with. I had assumed that meant that they had to have at least two Areas (or one Area and one Feature), but looking at the Facility Record for the biker bar in Operation: Grey Unicorn shows me that isn’t the case. This is a great rules set, and I’m hoping to run a game of this in the very near future! I've also discovered this excellent game and I believe the tokens have to be used before the start of the Milestone to give a fair fight: if the Control can spend a token during the facility it can be viewed as a way of cheating for the players. I guessed if you have the trust of your players, this can be easily overwritten by houseruling. I got the same question for the Trace Objectives, and I hope the creator of the game will answer here. I hope to test this RPG soon with my players, seems really exciting! This title was added to our catalog on August 14, 2011.